CCC offers a broad range of opportunities for adults to connect with God and one another. 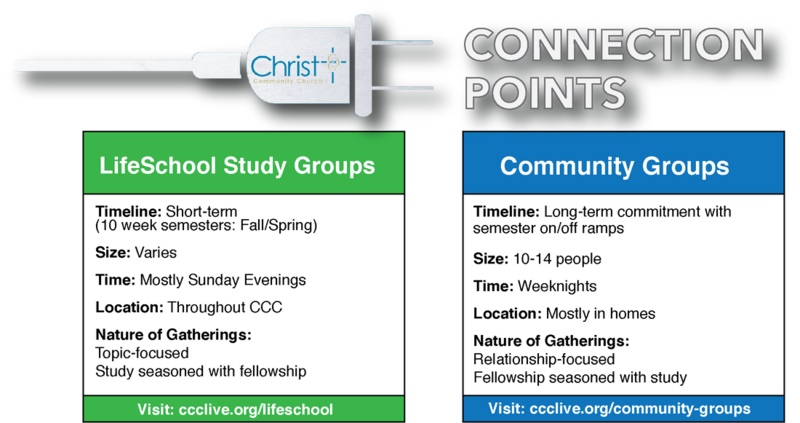 We have two small group opportunities available, LifeSchool and Community Groups. ​Additionally, we offer several other ministry opportunities listed below. Check out our links above and below to find out how you can get plugged in!